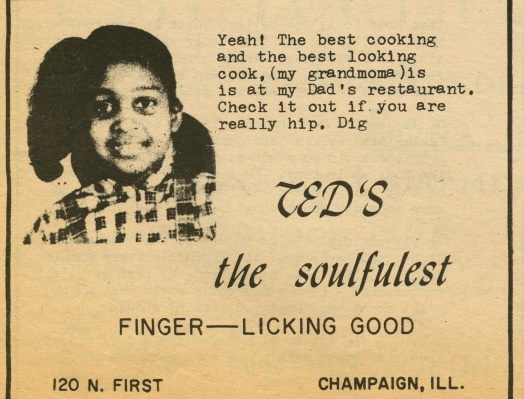 Advertisement for "Ted's," a business at 120 North First Street in the 1970s. From "The Plain Truth" newspaper. 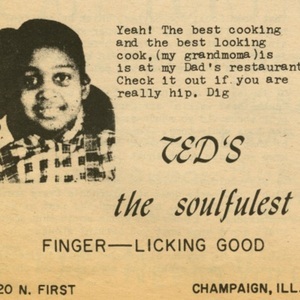 “Ted's - The Soulfulest,” eBlack Champaign-Urbana, accessed April 23, 2019, http://eblackcu.net/portal/items/show/132.